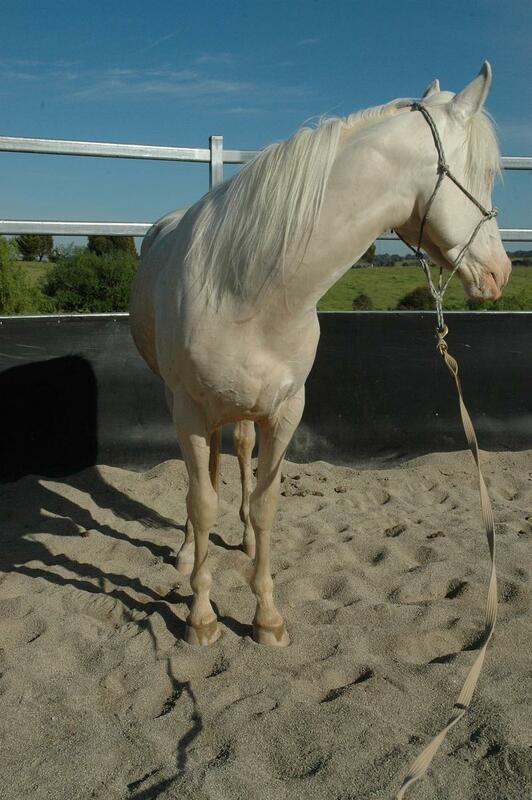 Remmie is our young Cremello Australian Stock Horse Stallion. He has a fantastic temperament quiet and easy to handle. Been shown and broad ribbon winner. Photos taken as 3yo. Remmie is registered ASHS second cross, sire registered and is registered Dilutes Australia. 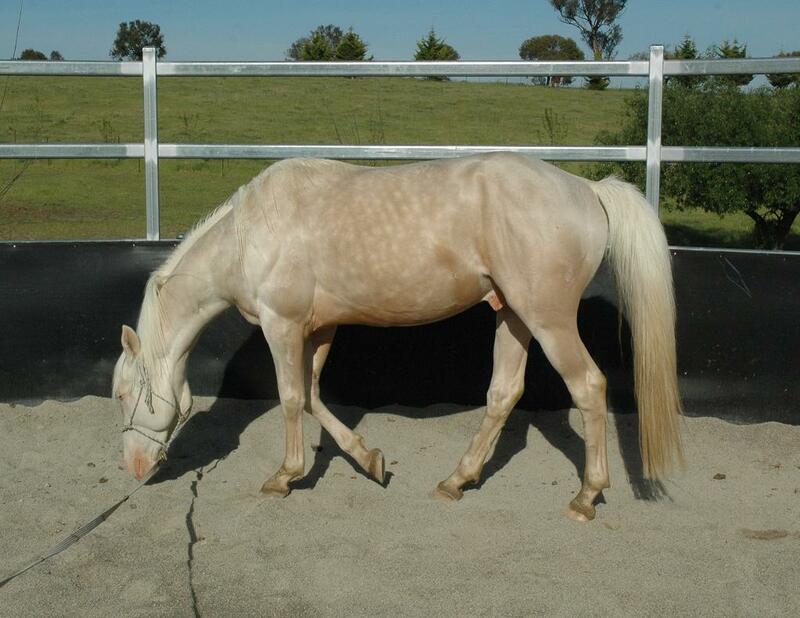 He has produced lovely foals, buckskin and palomino with correct confirmation and lovely temperaments. His first foals now being started under saddle and showing great promise. 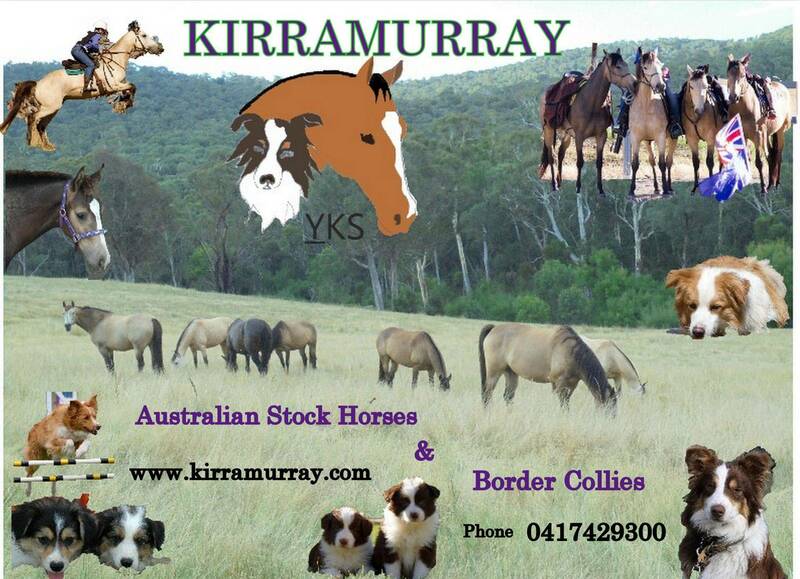 All his foals are easy to handle, intelligent, sensible and built to perform well. Remmie is a delight to own and breed from. Easy to handle, catch, float, clip, trim etc. He can be run with mares and foals or by himself. Hand or paddock serves and very easy to deal with. 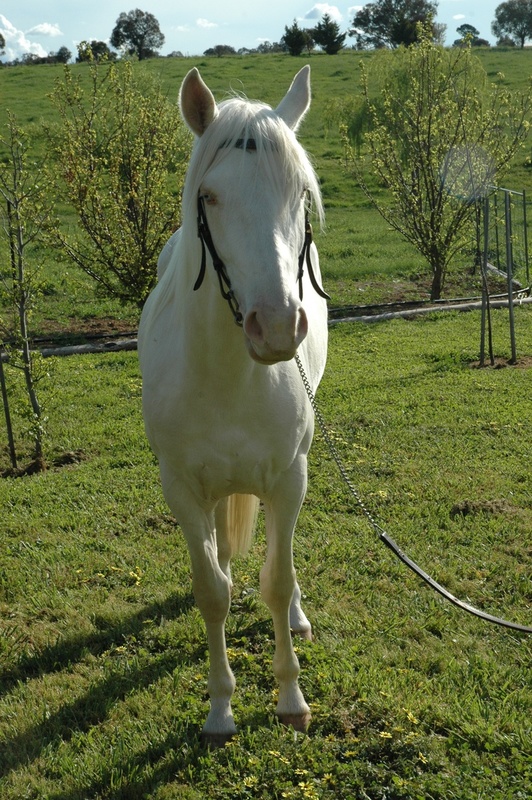 Lovely natured stallion, can run him next to in season mares with just a hot wire between. For sale only as we are keeping his colt as our next stallion, so no further use for Remmie. His siblings have been shown with great success and performing well under saddle. Bred to produce show and performance horses he would be an asset to any stud. Please contact us on ph 0417429300 for more information. Photos below taken summer 2012 when running with mares.